We have a brand new look! What do you think? 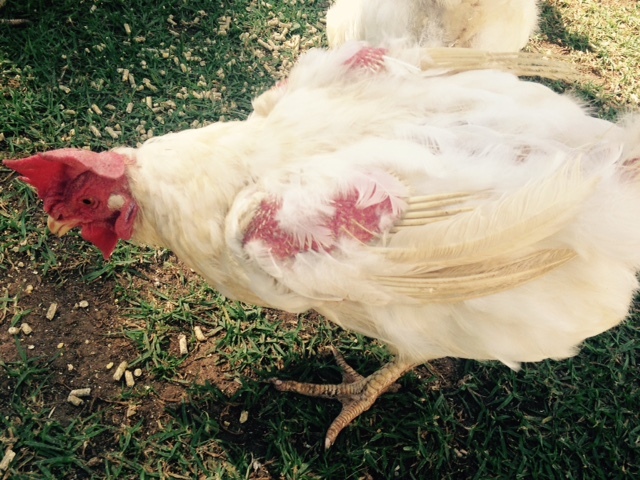 Our first broiler rescued a few years ago (genetically modified meat chicken). His name was Bello and he grew to 8.5 kgs in an alarmingly short time, eventually no longer able to support his own weight, we had to euthanase. I will never forget my first broiler heartbreak, and I could not have predicted how many times my heart would be broken again by a dear sweet broiler. Genetically modified to go from 0 to slaughter in 6 weeks, these noble birds are reduced to eating machines, experiencing the pain and discomfort of accelerated growth, and slaughtered while still babies. This is the reality of the meat industry. 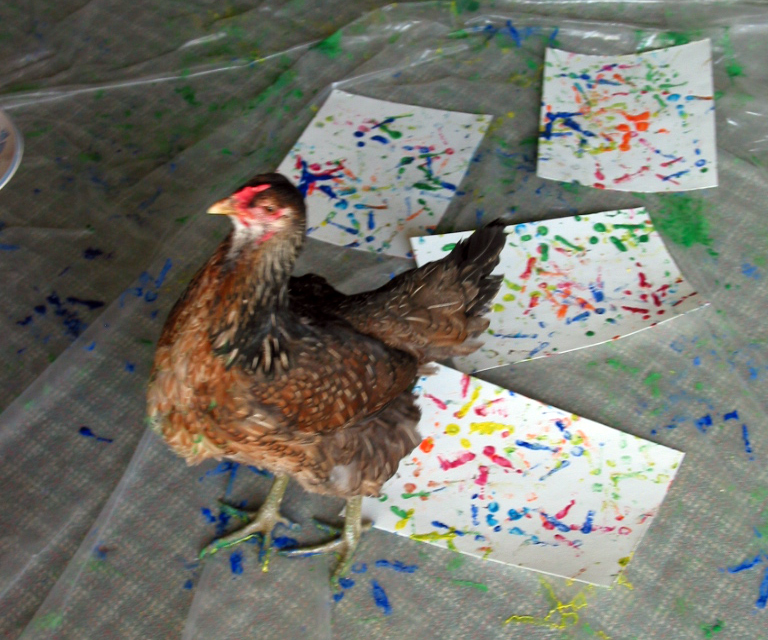 Almost a month ago we launched our ‘month of glorification of the chicken’ in honour of world animal day. 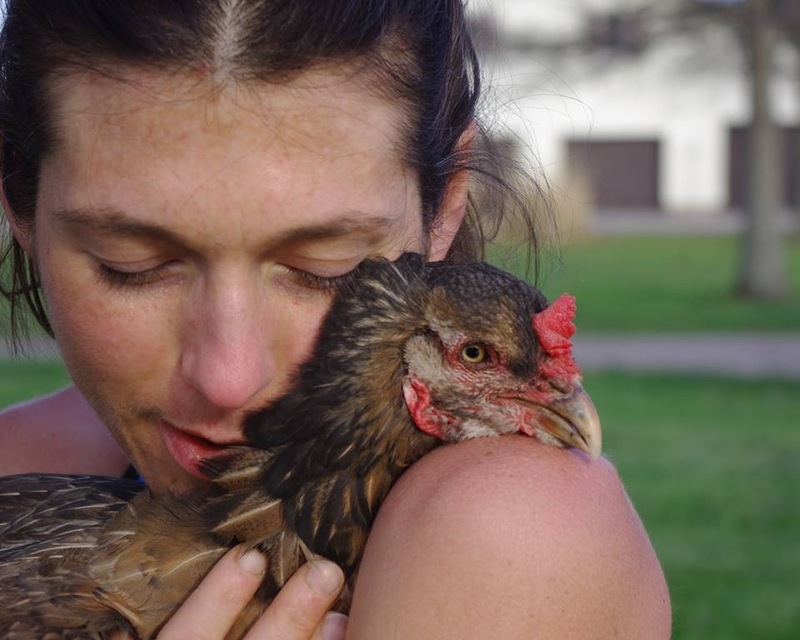 We asked you, our community, to answer some questions for us on life with chickens and share your stories, and photos. What fabulous submissions we have had. An outpouring of love and an important documentation of the intelligence and depth of feeling chickens are capable of given the opportunity. I have delighted in reading every submission we have received and we have had fabulous feedback from other people too. If you have missed our posts, please give yourself a ‘feel good’ treat go and read through some of our posts. We received 29 in total. 2 shy of our 30 submission goal, and so yesterday ended our 28 days of submissions. A BIG thank you to all those people who contributed to this worthwhile awareness campaign, and a BIG thank you to all those who read the posts and shared them. Hello my name is April. I was a vegetarian for 20 years until I began to learn about the horrors of the egg/dairy industry, and decided to go vegan three years ago. 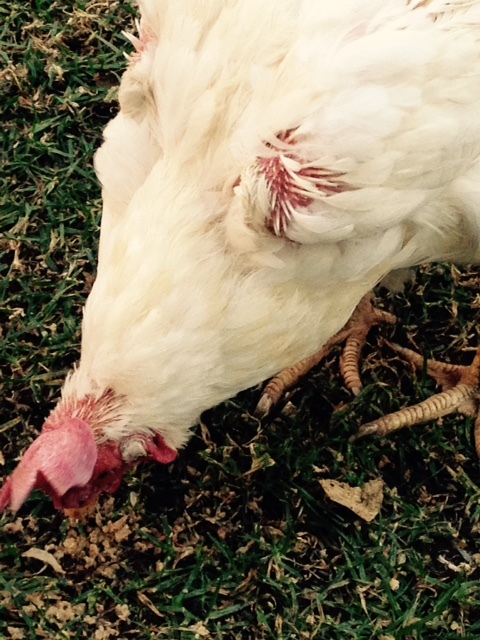 Having chickens and realizing how they feel pain, joy, and sorrow greatly influenced my decision. Currently four girls, three recent “rescues” that have their own secure private coop/pen, and one house chicken that I’ve had for 8.5 yrs. who is my heart and soul. what are your chickens names? 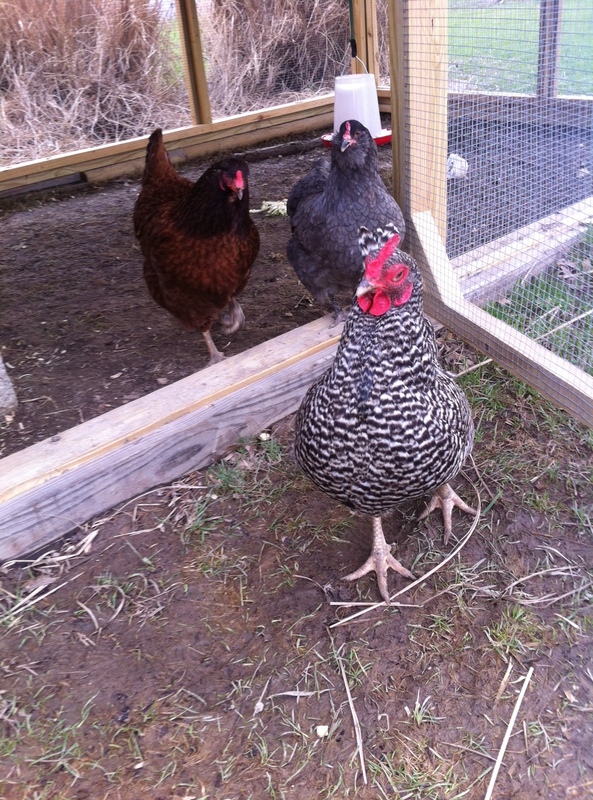 My Barred Rock with cataracts is called Tiny, the red hen with one bad eye is named Buckeye, and my little grey crooked beaked girl is Bonnie Blue. 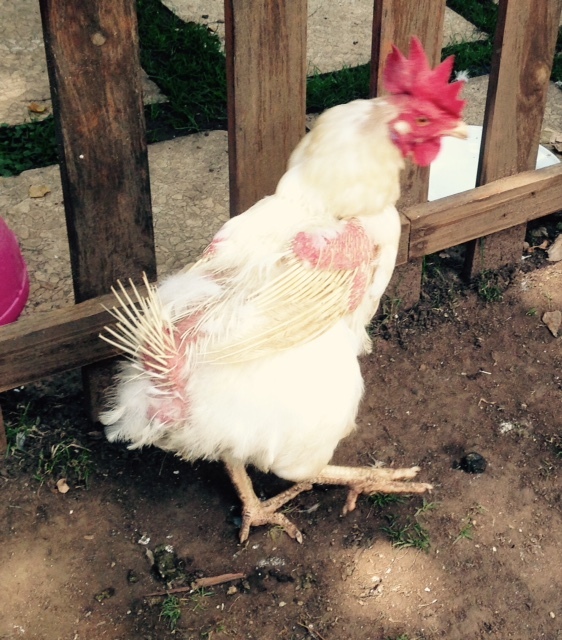 My older house hen is Beep the Chicken, who has a digestive disorder. Beep has her own facebook page. 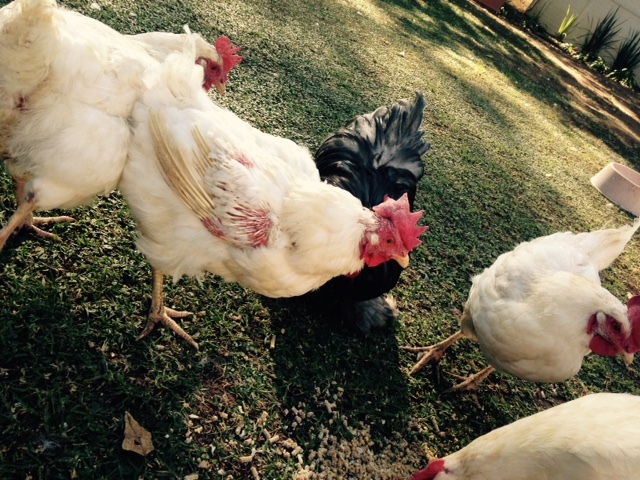 How do you spend quality time with your chickens? Every morning I go out and feed the girls their treats and let them out of their coop, then I spend a good hour cuddling in bed with Beep. Beep pretty much hangs out with us all day, by the computer or in the living room. I don’t get to spend as much time with the other three during the week as I’d like because of my work schedule, but we let them free range and walk around with them to keep them safe, and they love to hang out with us in the yard on the weekend. 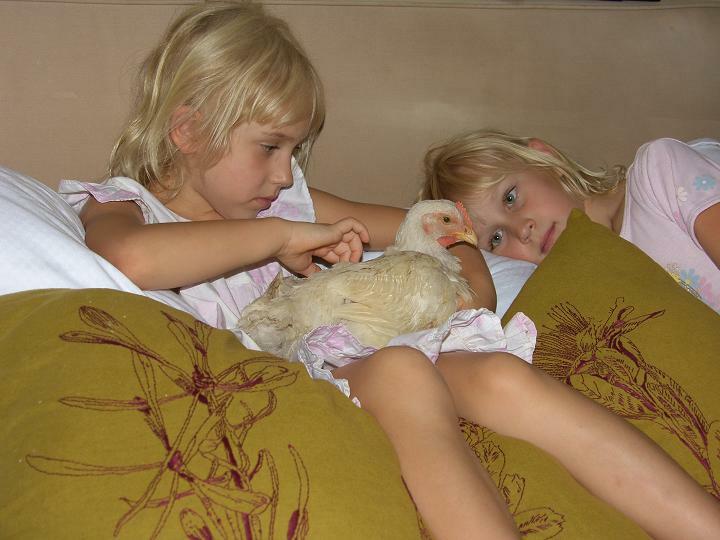 All four girls love to be held, cuddled and pampered. 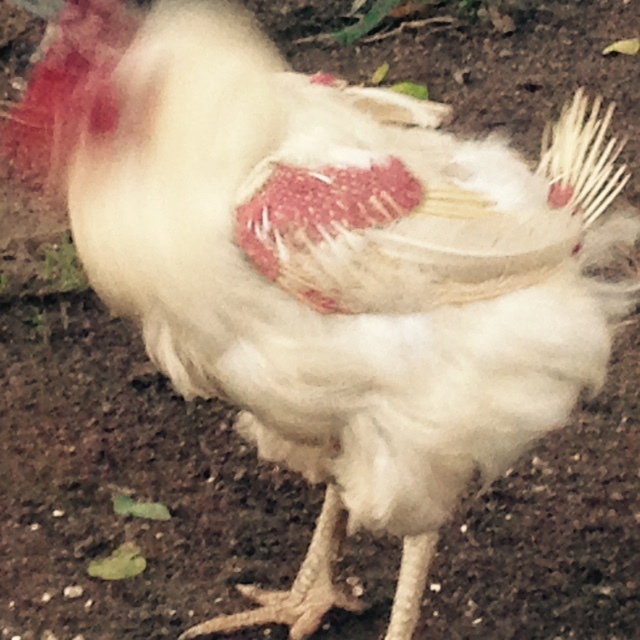 What has surprised you most about your chickens? 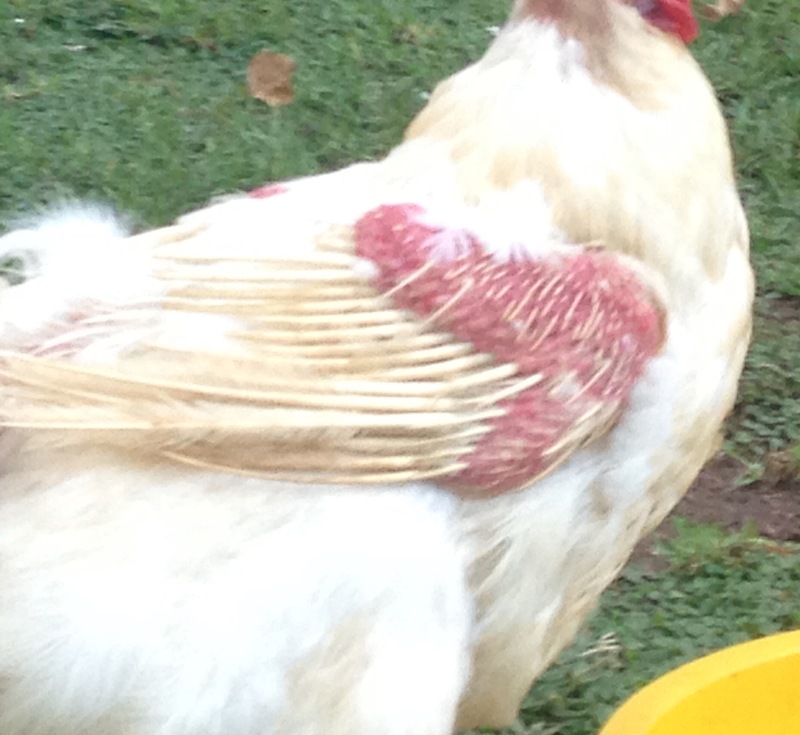 What do you want to tell people out there (who don’t know chickens as a species) about chickens? 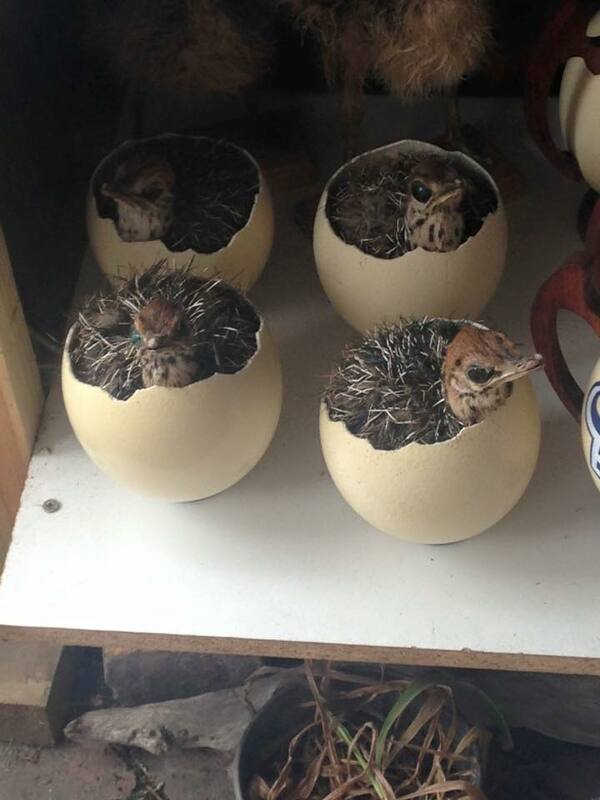 These birds have feelings, just as your family pet, or your child. To confine them to small filthy cages or cramped conditions to live out their life simply to provide eggs or meat to the food industry is a cruel injustice and abuse. 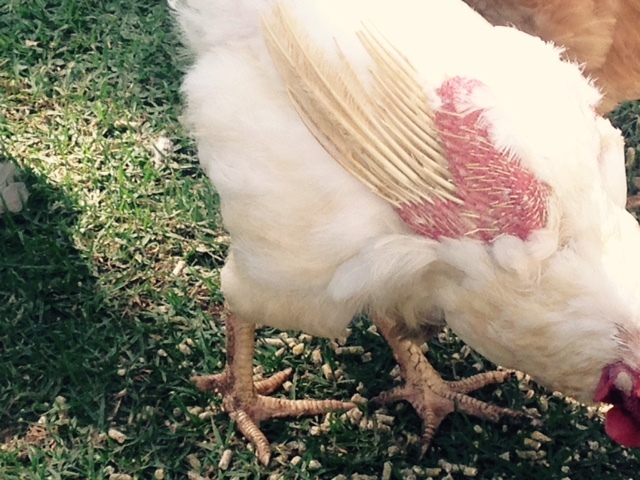 How do you know that your chickens recognize you over and above other people in their lives? When our birds see us coming, they run to us. When they see others that they do not know, they run in the other direction. 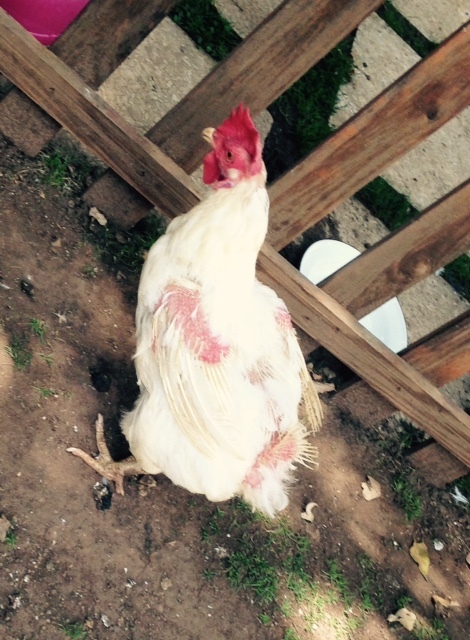 My house hen Beep knows myself (Mom) and her dad. She knows Mom is the cuddler and protector and feeder, and Dad is the one she bosses around and plays with. 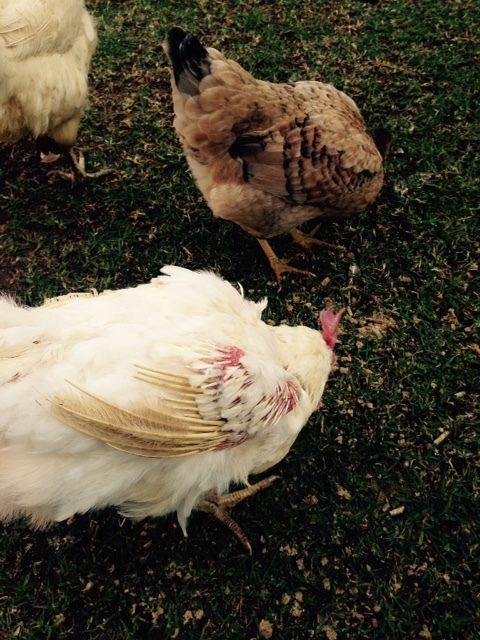 Beep is a precocious little girl who doesn’t like other birds or even other people very much. She would never dream of being a sweetheart to anyone except her Mom. When others come around, she is completely indifferent to them, showing no interest unless there happens to be a treat involved.. 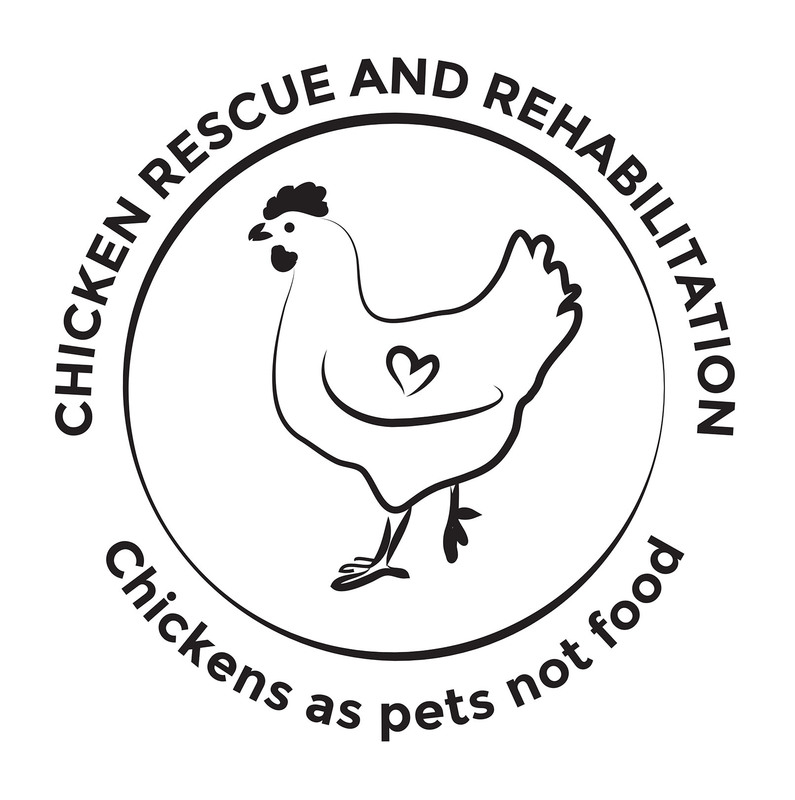 In your experience of keeping chickens as pets, what 10 non-negotiable factors do you believe need to be in place to give chickens a life that is physically, emotionally and mentally healthy? For cooped/penned birds, I’d say the obvious – secure housing, nest boxes/perches, fresh water, access to food, protection from elements (hot/cold weather), social interaction – either with humans or other chickens, dust bath access, love/affection/attention, occasional treats, and medical attention when needed. 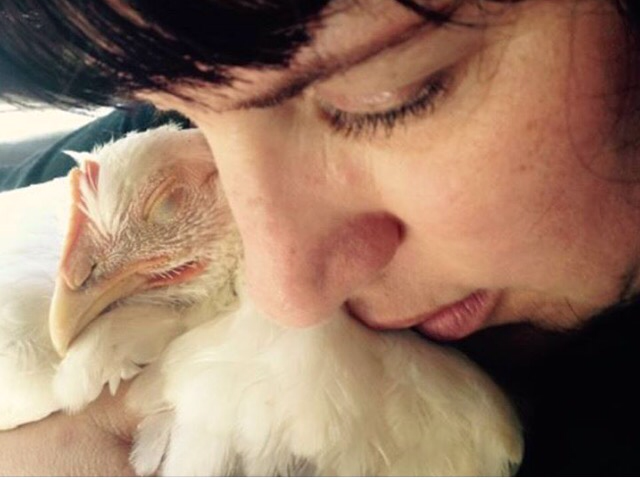 If you could say one thing, on behalf of chickens in the world, to the decision makers in your country, what would that one thing be? First and foremost, chickens need laws in place for their protection. As a vegan, I’d like to see all chickens liberated – but as a realist, I know this isn’t going to happen in the near future. Most people don’t know that chickens aren’t even protected under any humane slaughter laws that are given to pigs/cows. 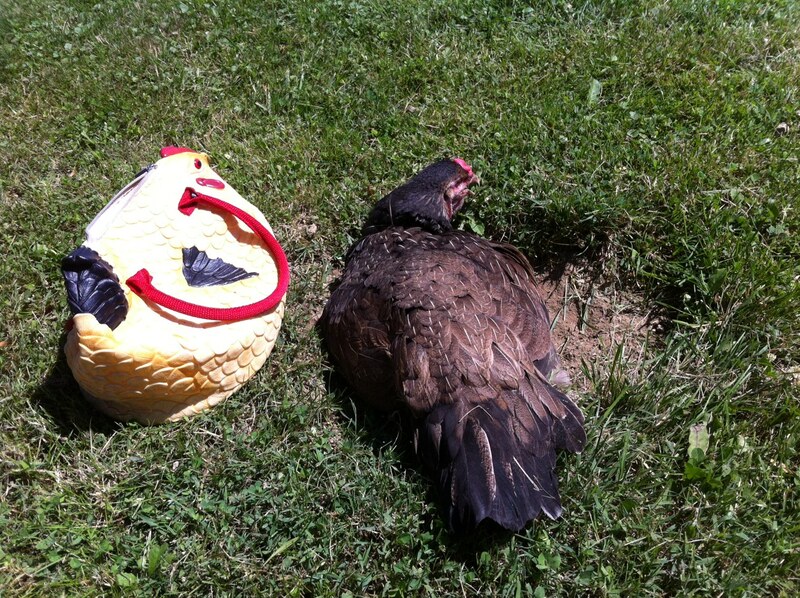 Egg laying chickens need access to the outdoors/sun. They need more space in their cage than a space the size of an ipad. 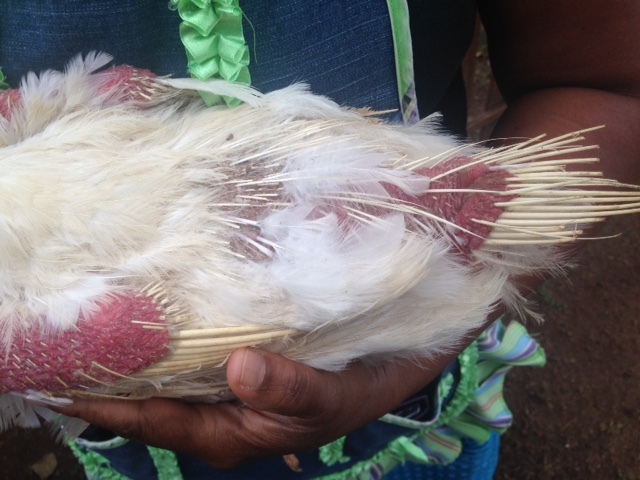 There needs to be laws in place to protect these birds from the cruelties we impose on them, but more importantly, there needs to be a way to ENFORCE these laws.